My daughters wanted to help make scrambled eggs this morning. To keep them busy while I was getting the eggs, I asked them how many eggs we needed. What math skills did they unknowingly practice? Word Problems – In school, the word problem might be written something like this. “Four people are going to eat scrambled eggs for breakfast. 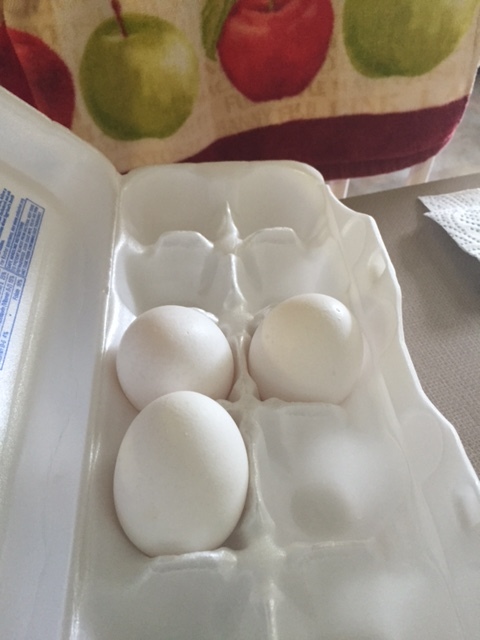 If each person wants 1 egg, how many eggs do they need in all?” It benefits children to have real life exposure and practice with word problems before they get to school. How do you sneak in math practice at home? Similar situations, eg when kids are laying the table and need to figure out how many plates or forks we need. Haha, love the Oprah reference! We do a lot of counting with my 2-year-old, and lately we’ve been asking her to count different things (how many brown cats? now how many black ones? etc). All that practice with counting will pay off. Isn’t it cool to see them gain confidence with counting each time they do it?